On Monday, May 8th, 2017, the Faculty of Business Administration and International Trade hosted the guest speaker Dr. Nora Salem, Former Consultant, UN Secretariat, Office of Disarmament Affairs, OPCW – UN Joint Investigative Mechanism Syria, New York, USA to conduct a seminar under the title “Ethics in International Human Rights Law”. 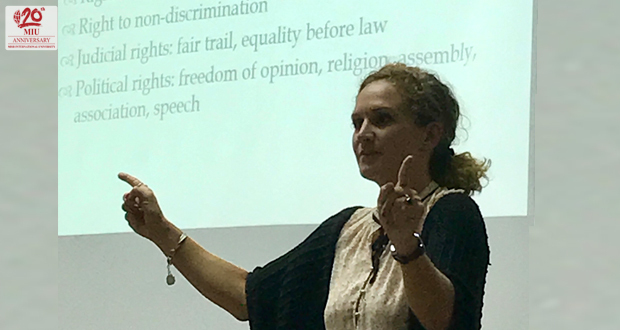 The guest speaker tackled the basics of human rights and the development of human rights law. Many business students and professors attended the seminar and exchanged opinions on the human rights issues.